Did you know that 18 million visitors made their way to Cleveland in 2016? With so many fun things to do in Cleveland, we’re not surprised. Are you ready to plan your next trip to one of Ohio’s best cities? Today, we’re listing the best things to do with the entire family. 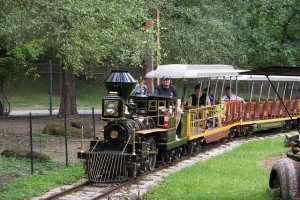 Cleveland Metroparks Zoo spans over 180 acres and has it all. There is no shortage of amazing animals, from giraffes to grizzly bears to kangaroos to zebras to an awe-inspiring elephant habitat. And, that’s not all. There’s also a 4-D theater, animal-themed carousel, and train ride that travels throughout the park. Best of all? It’s one of the most affordable things to do in Cleveland. Adult admission runs at $14.25 per ticket, and juniors between ages 2-11 cost just $10.25. Are you looking for something a bit different than an ordinary zoo? Then you just need to head about 25 miles out of Cleveland for this family-friendly adventure. Lake Metroparks Farmpark is an actual working farm, and you’ll get up and close with live animals and get to learn everything from sheep-herding to cow-milking to maple syrup production. Adults cost $8 per admission ticket, and children cost just $6. Located just five minutes from downtown Cleveland, you can experience the miracles of Christmas every single day. See directly where the movie was filmed and experience all the wonderful props and costumes directly for yourself. Yes, you can try on everything! General adult admission costs $11 and children under age 12 are just $8. Admission price includes access to A Christmas Story House and the museum. Traveling with older kids or seeking some serious, adrenaline-fueled adventure? Cedar Point boasts all of this and more. With nearly 20 dizzying roller coasters and extreme rides, this park isn’t for the faint of heart. You’ll get the chance to ride some of the fastest coasters in the world! The little ones are covered, too. Cedar Point has many attractions and live entertainment for younger kids or squeamish riders. Daily tickets start at $45 when buying online, but be sure to check out the many various promotions and deals offered. Who says traveling can’t be fun and educational? The Great Lakes Science Center boasts the motto “Stay Curious,” and the exhibits reflect precisely that. This facility is massive, and you can easily spend several hours to a full day here. Kids can rock their engineering skills, tinker around in the Create Zone, explore the NASA Glenn Visitor Center, and even explore a historic 618-foot freighter. Prices range from $13.95 to $16.95, and families can purchase additional add-on tickets for premium exhibits, like the Rocky Mountain Express and the Amazon Adventure. Whether you’re here for a week or just an afternoon, there is no shortage of fun things to do in our city. Are you looking to make a move to Cleveland? We handle all kinds of local and long-distance moves. Contact us for more information today!